A Canada goose keeps watch while it's partner feeds in this peacefully quiet marsh. 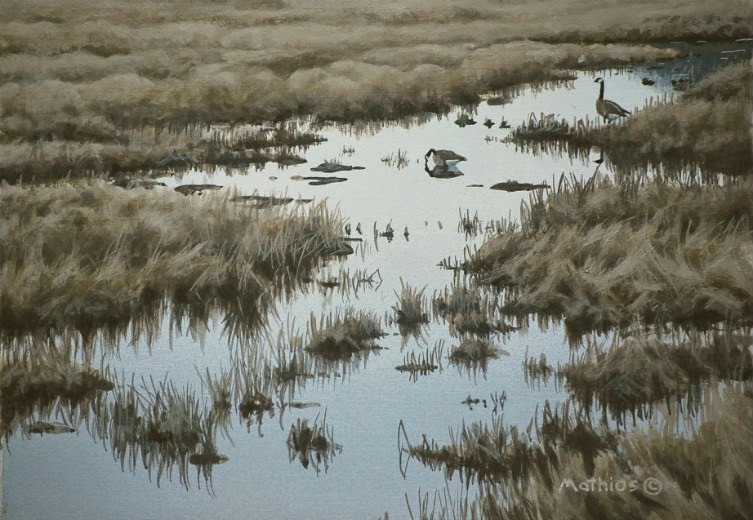 Wetlands have always inspired my artwork as they team with wildlife. Also, the intricate patterns formed by the natural contours of the water provide wonderful abstract shapes that lead the eye and, in this particular painting, create balance.